MONTREAL, Quebec - July 9, 2015 - PRLog -- Nimonik is excited to introduce version 2.0 of its award winning auditing and inspection web interface for quality, environmental and safety inspections. The web interface has been completely overhauled and now allows companies to quickly and easily identify outstanding corrective actions and questions, attach photos, documents and notes, issue action items and generate reports. “ We took the experience of thousands of audits over a four-year period and poured that into our new interface,” say Jonathan Brun, founder and CEO of Nimonik. This release also features upgraded Audit Template Creation Tools. The new audit checklist template builder helps companies easily create their own checklist and audit forms for corporate requirements. In addition, they can access over 1500 free checklists, or purchase complete legal compliance audit protocols for environmental, health and safety compliance for country-specific requirements in over 65 countries. Though Nimonik offers iOS and Android software, the web-based NimonikApp.com allows companies around the world to rapidly audit and inspect from any web-based device. “Our clients from Australia to Canada to the Unites States have already expressed their amazement with the speed and ease of the use of the new system,” explains Jonathan. The new auditing interface allows companies across the globe to audit and inspect both complex regulatory audits and daily quality checks much more rapidly. Intelligent Questions allow an auditor to quickly filter through queries and qualify the most-appropriate ones without wasting time. 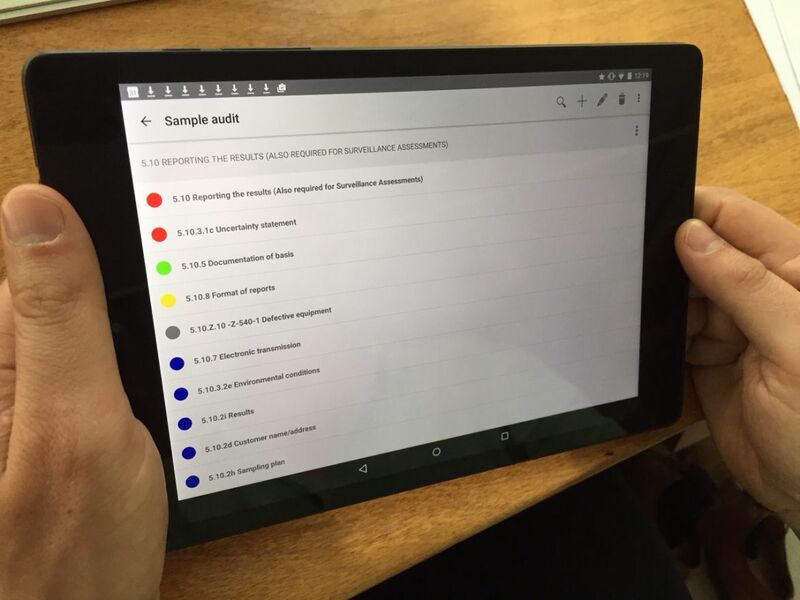 The new NimonikApp 2.0 interface takes online audits and inspections to a new level of performance and efficiency. Contact Nimonik for a free demonstration or for further information.